Chionodes is the closest I could get. Have been seeing this one here. 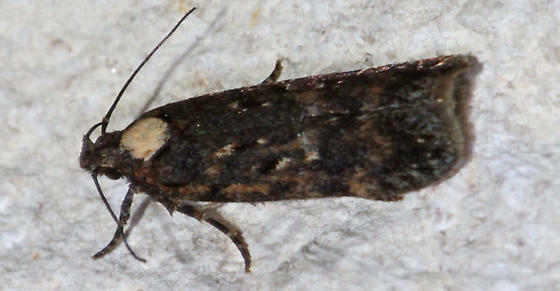 Chionodes emptor is what I am calling it in my files, but that is not a confirmed ID, just my closest comparison. That bright white thorax doesn't match exactly. I agree. Looks most like Chionodes emptor.